What to Serve With Cassoulet? The Perfect Side Dishes in the World! 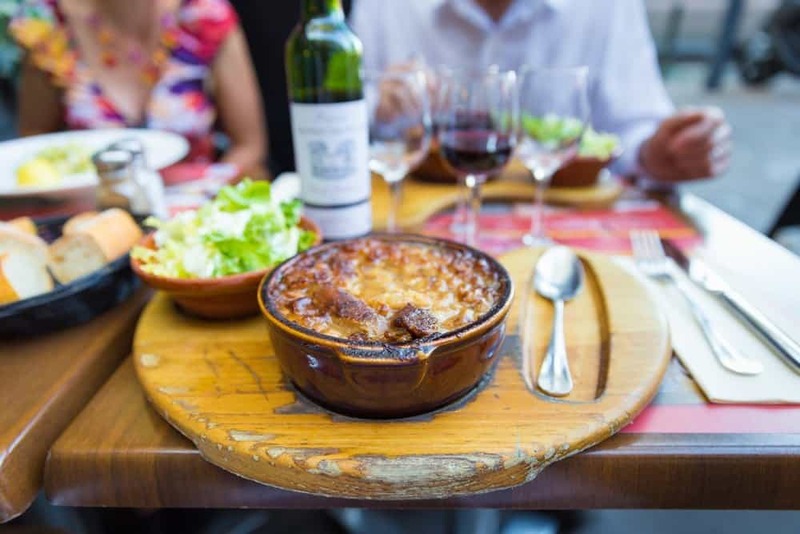 Have you tried a French Cassoulet? If you already have, then you already know that the rich, meaty and flavorful taste of this dish is quite addictive. It is worth sharing with your friends and loved ones. If you are hosting a cassoulet party, you may be wondering what to serve with cassoulet. Well, this article can help you with that. Aside from giving you side dish ideas for your cassoulet dinner, we will also provide you with some fantastic tips on how to prepare your cassoulet dish. If you are ready, then let us get started! Before we explore the different side dishes that go well with a cassoulet, let us first take a closer look at this dish—what is it and what it is made of. Cassoulet is a dish that originated from the south of France. It is a casserole or stew that contains meat and white beans that are slowly cooked and simmered in a rich and flavorful tomato gravy. You can use different types of meat for this recipe. Some of the most popular options that you have are a duck, pork, sausage, bacon, pork fat, and chicken. The name of the dish is derived from its traditional cooking vessel—the cassole. This is a thick and deep round pot with slanting sides that are made of earthenware. Considering that the origin of this dish dates a few decades back, it can be quite intimidating for us to try and achieve its authentic taste now. But of course, this is nothing that lots of tips and guidance can’t fix. Thanks to the Guardian, we have discovered the anatomy of the perfect Cassoulet recipe. Let us start with the beans. The type of beans that you use can make or break your Cassoulet recipe. To make a great Cassoulet, the beans should be tender and have absorbed all the flavors and aromas of the other ingredients in the dish. However, they should not fall apart. For optimum softness, you can go for haricots de Soissons, but they are a bit difficult to find. If you can’t find them, you can go for dried haricots, but you should soak them overnight so you can achieve the tenderness that you want without overcooking them. On the other hand, the meat content of the dish must be divided into three categories—meat needed to season the beans (combination of salted meats like bacon, pancetta, and pork rind), the bulk (pork ribs, pork belly, or lamb), and lastly, the stars of the dish (confit and sausage). For flavorings and seasonings, you can use parsley, thyme, and bay. The only vegetable you would need for this dish would be tomatoes. https://familynano.com/best-tomatoes-for-salsa/ If you wish to take your cassoulet into a whole new level, you can top it with breadcrumbs. The addition of this topping allows you to achieve a well-made cassoulet crust that you can only achieve using an oven. What side dishes can you pair with cassoulet? The truth is, cassoulet already gives you a full packed flavor—it is meaty, rich, thick and flavorful—everything that you would ever ask for. Since it contains lots of meat, it will not make sense for you to add more fats from a cheesy or buttery side dish. Since the beans are already filling, a carbohydrate-rich side dish like fries and breads may already seem too much. If you have noticed, the cassoulet recipe only has one element missing--- vegetables. Since this is the case, the best thing that you can do is to jumpstart your cassoulet dinner with a hearty vegetable salad as your appetizer. Our best recommendation is to go for a green salad with vinaigrette. You may want to try this arugula salad recipe if you wish to keep things simple and fuss-free. After a really filling meal, you would surely want to relax your taste buds and tummy, of course. But the best way to end your heart Cassoulet dinner is a refreshing yet light dessert. It would be best for you to try something fruity, like these pineapple desserts. This fruit contains enzymes that can help you digestive the meaty goodness of your Cassoulet. Oh, and let us also not forget about the fact that it is incredibly refreshing too! You may not need any side dishes to complete your Cassoulet dinner, but no Cassoulet party will ever be complete without wine. In fact, it would be impossible for you to eat dinner without drinking wine if you are in France. If you are having a small Cassoulet dinner with your family, a bottle of red wine will do. But if you are hosting a Cassoulet party, you may want to bring in a few bottles of wine. Some amazing wine pairing options that you have for a Cassoulet dish are—Marcillac, Madiran, Cahors, Cotes du Rhone Villages, Hearty Languedoc reds, and other Malbecs. 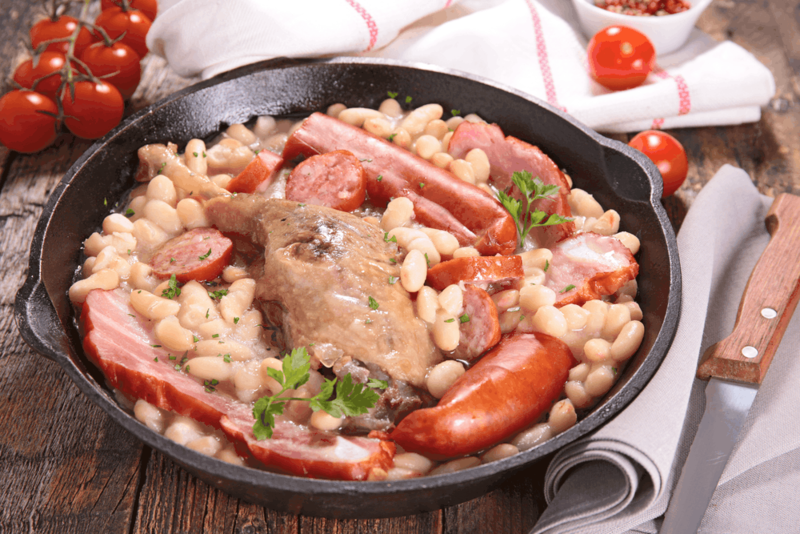 Perfecting a traditional dish like the French Cassoulet can be quite challenging but with the right types of ingredients—it is possible! But if you are planning to host a cassoulet party, your biggest question would be—what to serve with cassoulet? This is a difficult question to answer considering that cassoulet is already jam-packed with rich flavors so pairing it with other dishes may already be a bit too much. Instead of side dishes, you can complete with your cassoulet party with appetizers, desserts, and drinks that we have mentioned above. Do you have more ideas on what to serve with cassoulet? If you do, please share them with us below! What Does Vegemite Taste Like? This is the Real Deal! Here is The Important Difference Between Gumbo and Jambalaya!